Providing mapping and productivity data for a sustainable agriculture. 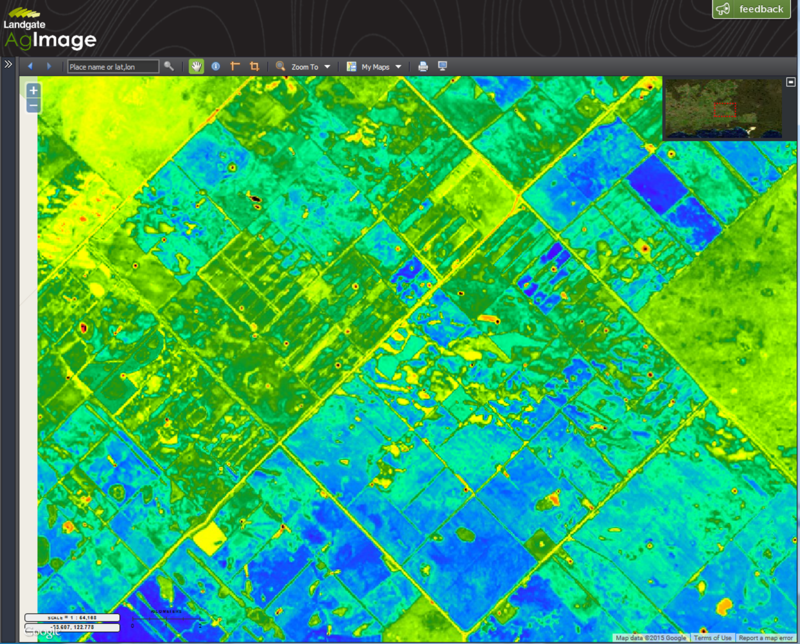 AgImage data utilises Landsat 8 satellite scenes over the South West WA agricultural area. 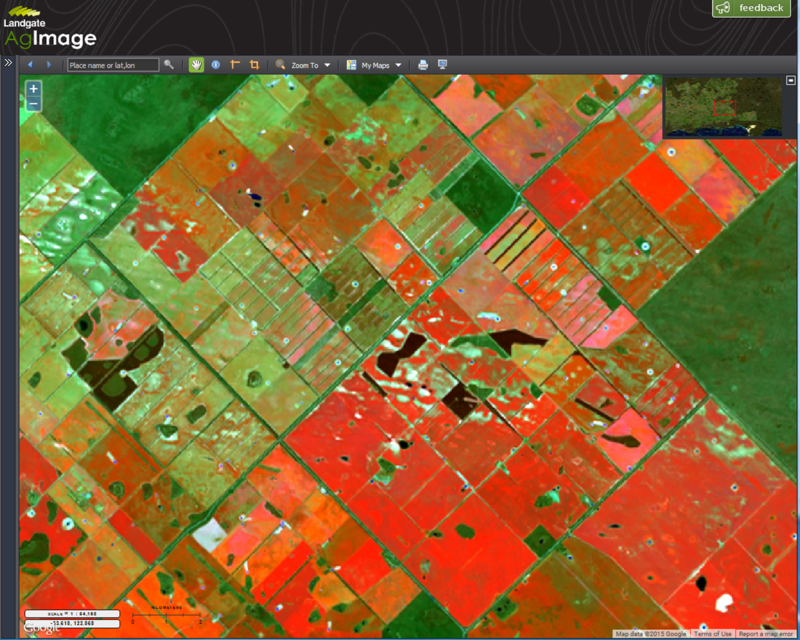 Each satellite scene is captured and processed to highlight the NDVI greenness index at 16 day intervals. This is a representation of plant vigour. The RGB imagery is like aerial photography. It is used to identify physical features and characteristics such as crops types. The RGB imagery helps users visualise areas obscured by clouds and shadow. The Biomass imagery highlights cropped areas within and between paddocks that are either highly productive or performing poorly. These enable farmers to undertake targeted investigation and remedial actions.